The blood-screening program at Hays Medical Center may be three decades old but its staff and volunteer organizers are still open to new ideas. The most recent example of the program’s growth is the addition of the test for Vitamin D. It is now included in the list of options at the monthly walk-in events. The next screening is scheduled for 6:30 to 10 a.m. Saturday, Feb. 6 at HaysMed. Participants are asked to use Entrance B. The fee for the Vitamin D test is $30. The other tests and their costs are: blood profile for $25; PSA test that checks a man’s prostate for $15; and the HGBA1C test to check for diabetes is $10. Fasting is preferred before the tests, which are performed by HaysMed phlebotomists. While the phlebotomists are HaysMed staff members, the program relies heavily on the hospital’s volunteers, Mihm said. An average of 200 people use the blood-screening service each month. The program started in the mid-1980s as part of the annual community health fair at the mall. As the years progressed, it was available several times a year at schools and businesses. The screenings, which are performed in the Miller Medical Pavilion lobby, have been held monthly since 2003. No appointment is necessary. Volunteer Director Betty Baird started the program and her successor, Jo Murphy, continued in the role until her retirement. Mitzi Krause volunteered as the blood-screening coordinator for more than 25 years and Debra McDonald has filled the position since July 2010. “The volunteers make this project work,” McDonald said. 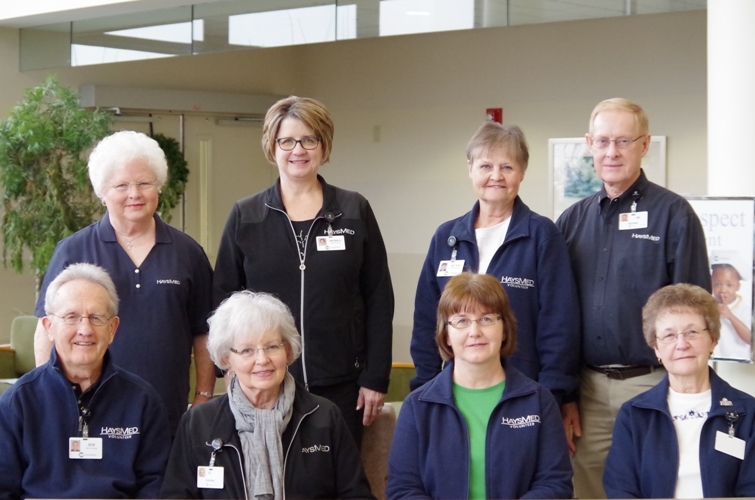 “The phlebotomists and admissions staff are HaysMed employees but all other tasks are in the volunteers’ hands. The volunteers assist patients with registration and enter all information into the database. This allows HaysMed to track numbers of participants and types of tests requested. Trina Gottschalk, phlebotomy supervisor, sends screening results to volunteer services for processing and mailing. Patients receive their results usually within a week and may then choose to send them to their physicians. Results can be sent electronically to patients of HaysMed doctors.